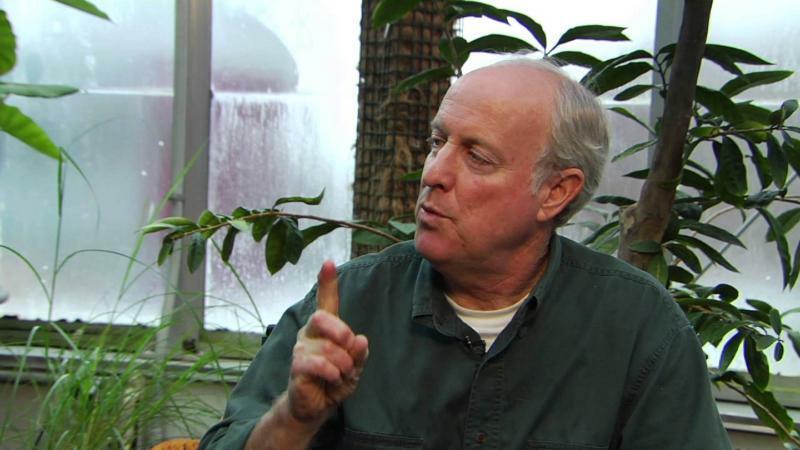 Environmentalist Douglas Tallamy will speak on "Creating Living Landscapes" at Heartland Community College on Tuesday in a program sponsored by Illinois Prairie Wild Ones, a native plant advocacy group. Tallamy, an author and insect specialist, describes humans as but one element in our ecosystem. He says when one link in that chain is suffers, we all suffer. “We humans have such a giant footprint, if we don’t pay attention to the ecological roles of plants in addition to their aesthetic roles, then we face eco-system collapse,” Tallamy said on GLT’s Sound Ideas. “We have landscaped forever only from the perspective of aesthetics. We consider plants to be decorations, and that’s OK except for all the other critically important things plants do,” Tallamy said on a Skype call from his office at the University of Delaware in Newark. Tallamy will speak on “Creating Living Landscapes” at 7 p.m. Tuesday in the Astroth Auditorium at Heartland Community College. The free public program is sponsored by Illinois Prairie Wild Ones, a local conservation group that advocates for using native plants to enrich and preserve Illinois’ natural areas. Tallamy warns that humans have overrun the vast majority of natural landscapes across Illinois and indeed across America. He laments the loss of species, particularly inspect species, he says are essential to the functioning of our ecosystem, and our very survival. If humans are responsible for the problem, they must also reverse the trend, Tallamy said. Step one, he believes, is to reduce areas kept as lawn. “Most people use lawn as a default and when they are tired of landscaping,” he said. These grasses, he said, do little to improve the ecosystem, and should be replaced with “productive plants” that are good for the soil and help feed birds and pollinators, like bees, that serve as the engines of the ecosystem. What kinds of productive plants should people should put in? “The best plants by far to do that are large woody plants, and oaks top the list,” Tallamy said. “If you spend a half an hour planting that oak tree in your yard and never do another thing, you have made your yard productive for the next hundred years. It doesn’t take constant monitoring,” he said. Flowering plants can also provide food for pollinators. Tallamy recommends planting sunflowers. In Illinois, 12 species of bees will reproduce only on sunflower pollen. “So if you don’t have sunflowers, you’ve lost 12 species of bees right there,” he said. Goldenrod is always very high on that list of plants that are good for pollinators. The Living Landscape is Douglas Tallamy's latest book on using plants that help preserve birds, butterflies, pollinators and other beneficial insects. Tallamy said other plants that would be helpful in a particular area can be found on the National Wildlife Federation website, through a service called Native Plant Finder. “If put in your ZIP code, the top-ranked plants that do all these things will pop up in the county where you live,” Tallamy said. A professor of entomology and wildlife ecology at the University of Delaware/Newark, Tallamy said he is particularly concerned about the loss of insect species, largely due to the use of pesticides. “We have got this notion all insects are bad and if you see one you have to kill it. Inspects are little things that run the world and if they disappeared we wouldn’t last on this planet,” Tallamy said. About 45 percent of insect species have disappeared, he said. Pesticides sprayed on crops also have had the unintended consequence of killing milkweed plants, Tallamy said. Monarch butterflies feed on milkweed plants, and their decline has led to a reduction in the numbers of one of the most exquisite of nature’s butterflies. Tallamy suggests using non-toxic ways, such as soapy water, to deal with legitimate pests, including the Japanese beetle. “We have to look beyond our immediate environment and realize that these are essential components of our ecosystems and to mindlessly kill them is a bad idea,” Tallamy said. 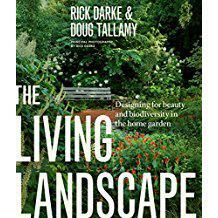 Tallamy is the author of several books including Bringing Nature Home and most recently, The Living Landscape.